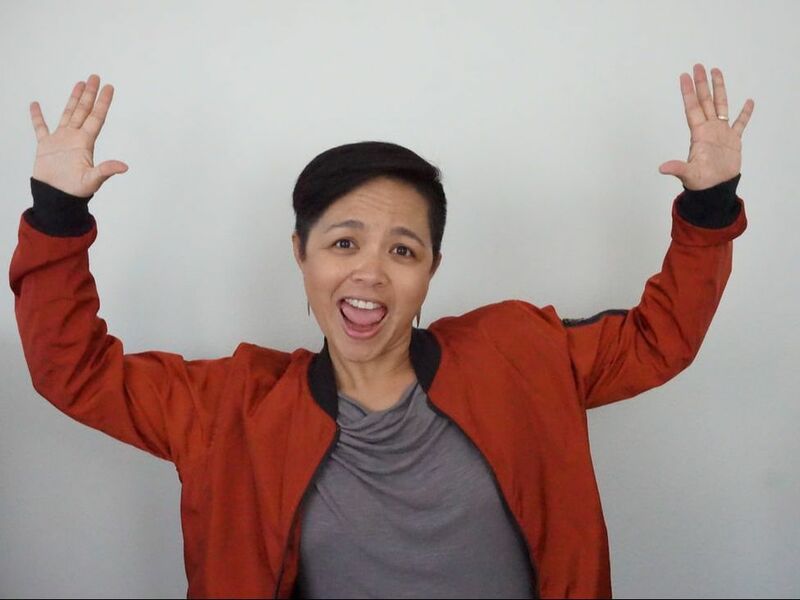 Karen was born in the Philippines, grew up in the Bay Area, and moved to San Diego in 2013 to recharge her the sunshine batteries after 13 years of living in the Pacific Northwest. She's been singing and making music since childhood, but she first discovered her aca-nerdness in college, where she spent most of her free time singing with the all-female group, the Princeton Wildcats. A long story of short career stints later, she found herself in Seattle, where she continued her music-making by forming a now-defunct cappella group named Ethel Unknown, and a "newgrass" band called Skitterpup. Karen works as a data analyst for a software corporation, but also has been a certified yoga teacher for over a decade and still teaches at gyms and studios around town, and occasionally leads retreats to cool places. She likes to think that one career enables the other! She and her wife are moms to two terrier mixes and one human toddler, which means she doesn't have a whole lot of free time, but she is super excited to fill what little time she does have singing with Voxy!